We are a young structure based on a Morgian heritage from 1547. In 2013, Morges decided to privatize its domain to make it a fully-fledged domain. Having taken over the management of this 15-hectare estate, I wanted to position our range of wines in the mid-to-high end. In 2015, we won the Chasselas World Cup with our Chasselas Réserve La Grand’Rue 2013. Our wines are elegant. We offer subtle Chasselas, we are really in the incense of a terroir that expresses finesse. We produce about twenty different wine references. “La Grand’Rue” is one of our star products, such as “Le Protagoniste” red blend and “Belle Rive” our Rosé de Pinot noir and Gamay which are successful cuvees. We are also one of the producers of “Servagnin” which is a typical “Morgian Pinot noir”, vinified in barrels. 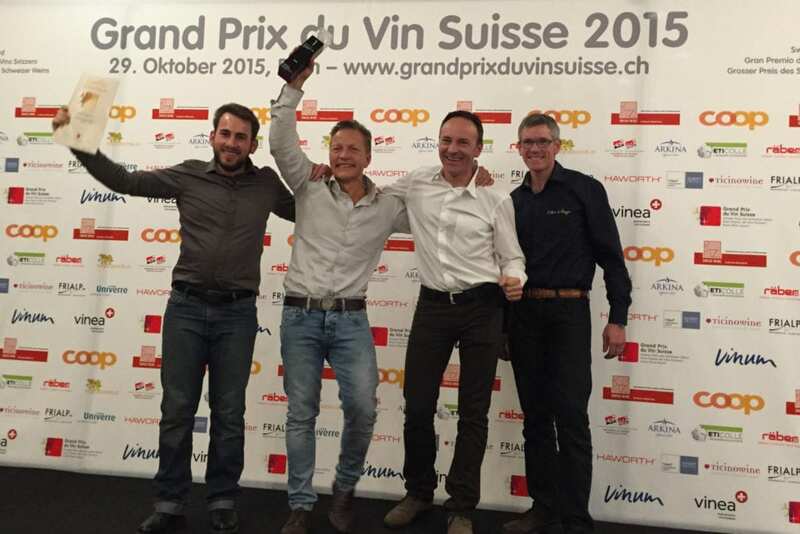 We also won the title of “Swiss Wine of the Year” at the Swiss Wine Grand Prix in 2015. In addition, we are one of the 150 best Swiss wine estates listed in the “VINUM”, a wine guide and a real reference for wine lovers. Some of our successful wines are “Label d’Or Terravin” which represents about 4% of the labelling of wines produced in the canton of Vaud. It is an accreditation given by a college of professional tasters who are formatted to taste on several criteria if the wine has the qualities required to obtain this label. Who are your customers? From which Regions? We have a very large clientele, professionals in the catering industry, hotels, private individuals. We sell under the “Ma Region” label in Coop shops and “Local” stores at Manor in the Lake Geneva region. We sell mainly in Swiss Romandie. What are your commitments in terms of sustainable development? We deeply respect our terroir. 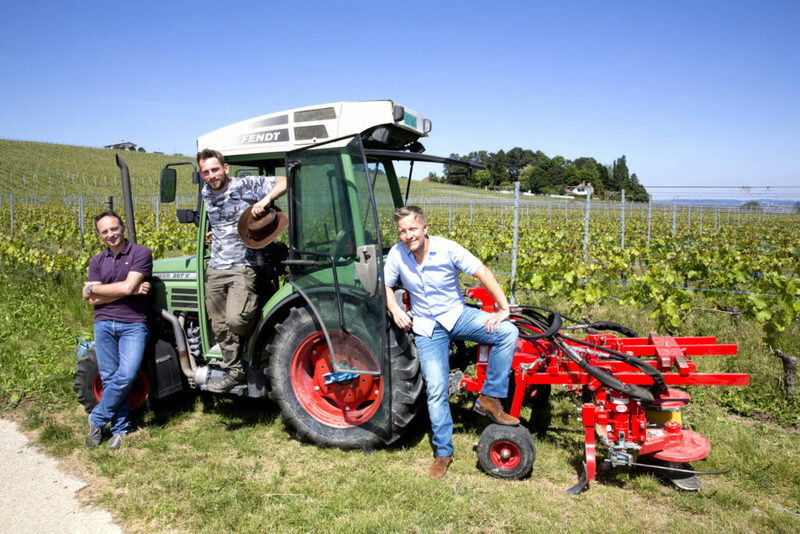 We are in the process of converting to organic farming in Switzerland, we have been practicing biodynamics since 2015. We do not use chemicals or phyto-sanitary products and we work on our soils. Instead of using products that penetrate inside of the plant, we use surface treatments. In which emblematic events are you present in the region? We participate in many events, some of which are recurrent every year, for example we are present at the large market in Morges. Each year, a Morgian personality dedicates “Le Morgien” Chasselas cuvee vinified in amphora and launches the new vintage here. We also participate in the British Car Meeting which usually takes place in October, some of Starling Hotel Lausanne’s customer might be there. There are nearly 1500 people who come to Morges with vintage English cars. Then we have the chance to collaborate with Starling Hotel Lausanne for some events such as Balelec. We will soon be participating in the Servagnin Night on November 1st and 2nd. About fifteen producers will be present to present their Servagnin. What are your futur challenges? The German-speaking Switzerland part. We go there once a month and we are lucky to be successful, thanks in particular to the natural wines in Zurich. We still have the challenge to establish the Chasselas there. We are lucky to work with Starling Hotel Lausanne, so we reach a tourist clientele, which also gives us access to the Swiss German market. At the regional level, we have taken up a lot of space quite quickly, so it is quite encouraging for our development in the German part of Switzerland. How did the collaboration with Starling Hotel Lausanne come about? We were simply approached by Starling Hotel Lausanne who came to us! Normally, it’s quite the opposite, but it proves that we have very interesting and quality products. How do you perceive the Starling Hotel Lausanne? Have you already experienced our offers (Accommodation, F&B, conferences, etc.)? My family is from Saint-Sulpice, the village where your hotel is located. We had a hotel restaurant, so I am particularly attached to this lakefront. I have eaten several times in your restaurant and I have always been very satisfied with the service provided. I also had the opportunity to participate in a visit of the hotel, including rooms that I found bright, modern and stylish. What do you appreciate about your collaboration with Starling Hotel Lausanne? Overall, I am very happy with our collaboration and I hope that it will continue in the future. The banquets organised at your place are great opportunities to showcase our wines and are very interesting in terms of volume. The Domaine de la Ville offers you its new activity: a wine tourism stroll at the top of the vineyard with beautiful views. 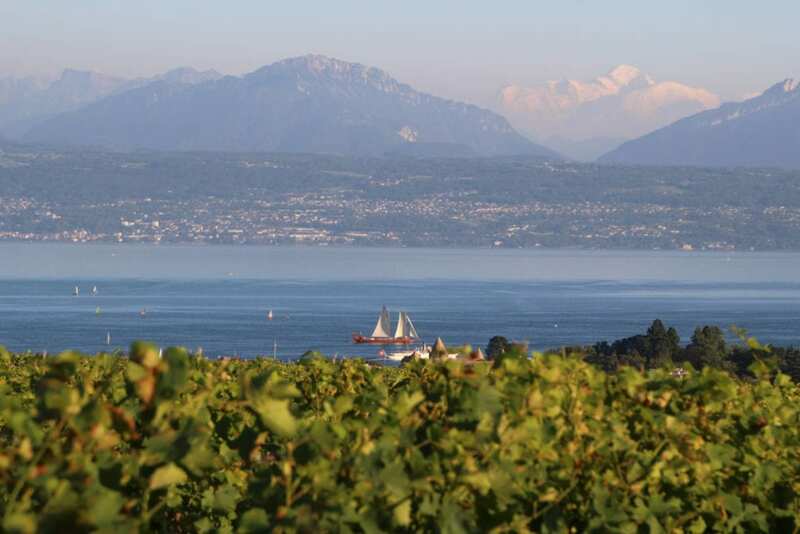 Visible in the Vaud Guides application referencing all tourist activities in the region. Open for tasting on Wednesday from 4pm to 7pm, on Friday from 4pm to 7pm and on the first Saturday of the month from 10am to 1pm.